Twenty years ago, back in 1992, Harry Bosch was assigned to investigate the murder of a young photographer murdered during the L.A. riots. Bosch never managed to solve the crime as it was handed off to the Riot Crimes Task Force, where it remained unsolved forever. However, twenty years later Bosch gets his hands on a ballistics report which leads him to believe the young photographer’s death wasn't just collateral damage to the riot. After that, in true Harry Bosch style, he goes on an adventure to find the missing piece of the puzzle that will tie everything together, a "black box" if you will. 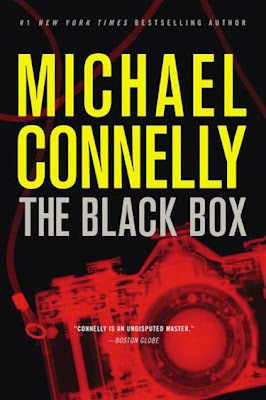 Michael Connelly seldom fails to disappoint with his Harry Bosch novels, and The Black Box follows that honored tradition. 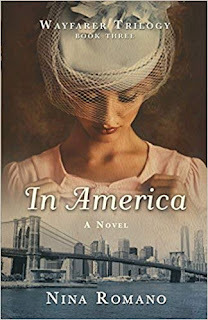 As usual, from a technical perspective Connelly masterfully manipulates the English language, always describing events, scenes, characters and whatnot in a very concise, yet detailed and enthralling matter. The story is briskly paced, which really shouldn't come as a surprise to Harry Bosch fans. As for its quality, I have to say that this is one of those murder mysteries that actually end up sticking with you. There is just something special about seeing a long-forgotten crime of the past being solved in the present, when all hope was lost and the killer thought him or herself to be safe from justice. As you can probably guess by my criticism (or lack of) above, I really liked this book as it was simply brilliant in every aspect. From beginning to end I never felt like putting it down, always juggling dozens of ideas in my head as to what twist or revelation Connelly is setting up next. Harry Bosch, through his frantic nature simply makes this story into a real rollercoaster ride, one which surprises you at every turn, with an end you never see coming. All in all I recommend The Black Box regardless of whether or not you've ever gotten acquainted with Harry Bosch. 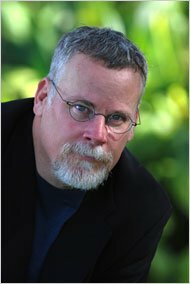 Michael Connelly is perhaps one of the most popular modern writers, starting has career when he discovered Raymond Chandler’s writings at his university. To support himself, he worked at the local newspaper while specializing in crime, which shows in virtually all of his works touching on criminal subjects, such as The Black Box and The Lincoln Lawyer.